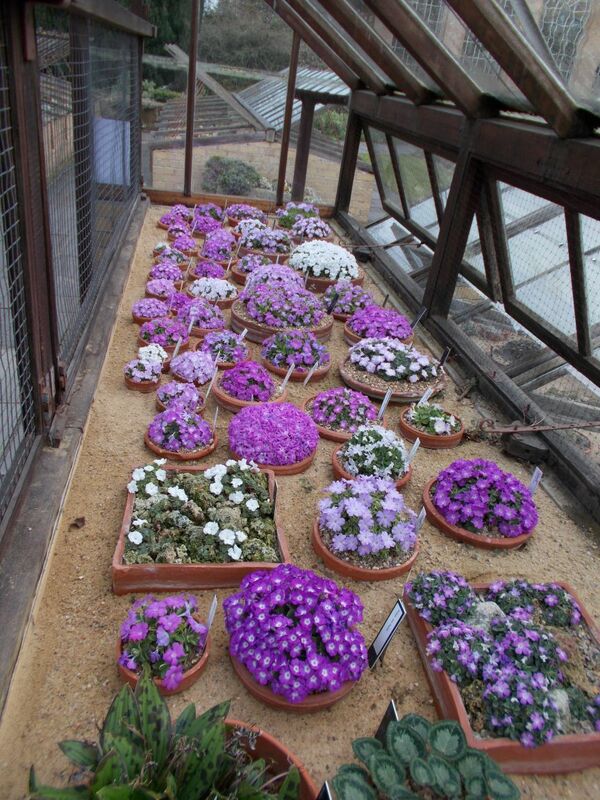 Primula allionii seen in pots in the traditional alpine house and colonising the tufa wall in the modern structure too. 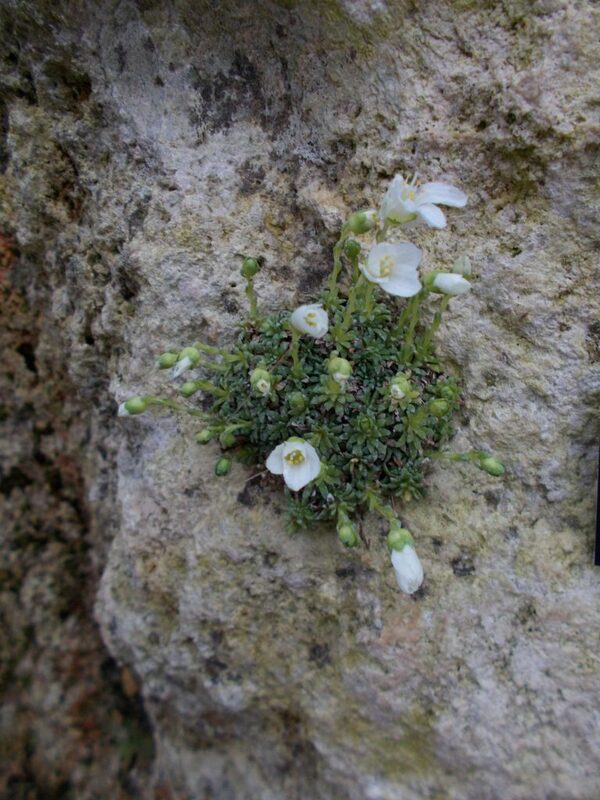 Also worth a mention is Saxifraga dinnikii alba. 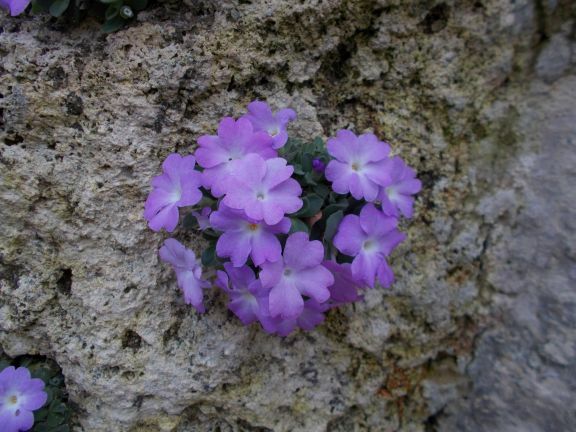 Flowering for the first time in the tufa. Once the roots are established in the planting pockets flowering should be assured.